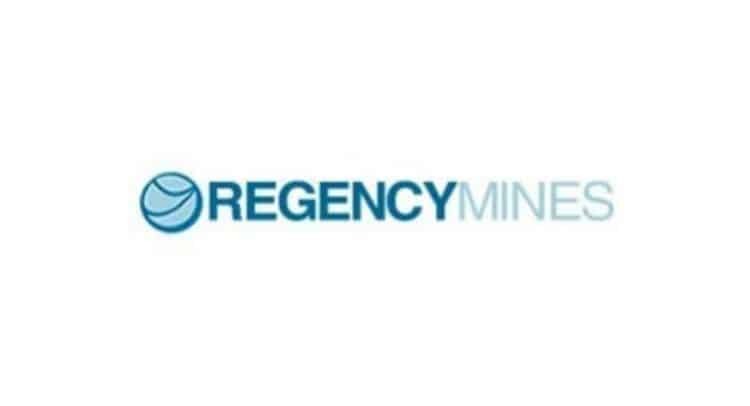 Regency Mines Plc, the natural resource exploration and development company with interests in hydrocarbons and battery metals is pleased to announce, further to the announcement of 6 December 2018, that it has on expiry of the 45 day option period exercised its option (the “Option”) to acquire a 50% interest in a North American vanadium project (the “Project”) from vendors represented by and including Breakaway Exploration Management Inc, a Yukon company (“Vendor”). · Further information on the transaction terms is provided below and the Company will provide further updates to the market in respect of this opportunity in the near term. Andrew Bell, Chairman of Regency Mines commented: “This is a potentially major project and builds on one of our two core strengths: our early involvement in battery metals and related technologies. It has additional synergies with the static power storage element of our subsidiary ESTEQ’s AES grid backup and private grid/CHP business. The Project comes with an expert team and lies along an existing road, giving access to infrastructure. While iron ore-hosted VTM deposits supply 70% of the current vanadium market and will continue to supply most of the steel additive demand with their 80% grade material, the growing battery metal segment requires 98-99% grades which shale-hosted BSV deposits can provide. For this reason the three Nevada BSV deposits of Canadian-listed companies Cellcube, Prophecy and First Vanadium (www.cellcubeenergystorage.com, www.prophecydev.com, and www.firstvanadium.com) – which would combined all fit quite comfortably within our ground – are now being fast-tracked. Previous work on the Property targeting other minerals found vanadium in and around the interval they targeted. Two holes previously drilled have provided us with adequate core material in good condition to prepare 250 samples for testing over wider intervals and we expect results within several weeks, with subsequent presentation of a paper for publication by our team and their academic partners. a. The CAD450,000 (agreed as equivalent to £265,548) consideration is as a result of the subscription payable in new Regency Mines plc ordinary shares at a price of £0.005 equating to 53,109,600 shares (the “Subscription Shares”) and representing approximately 6.05% of the total number of issued shares post transaction. b. RGM will be prohibited from selling their 50% interest in the Project for a period of 12-months post-acquisition and thereafter the Vendors will retain a first right of refusal to acquire Regency’s interest on the same terms as any disposal agreement achieved by Regency. o Should RGM close at above £0.008 for 7 consecutive trading days, the Vendor has the right to sell 25% of its position. o Should RGM close at above £0.01 for 7 consecutive trading days, the Vendor has the right to sell a further 25% of its position. a. The Project will be held by DVY. b. The Vendor will have the right to nominate two directors to the board of DVY and will appoint the company secretary & legal counsel. c. All contracts of work are to be awarded to agreed technical consultants on an arm’s length commercial basis. d. Regency has the right to nominate two members to the Board of DVY. e. Regency are to be appointed the operator of the Project. a. Regency will commit to and fund a minimum spend of CAD$150,000 exploration in the 12 months post acquisition and upon completion of the required spend of CAD$150,000 the joint venture will revert to a shared funding or dilution agreement in line with standard industry practice. b. Should Regency fail to expend on a pro-rata basis CAD$950,000 or more within 24 months of acquisition (net of CAD$150,000), the original syndicate have the right to reacquire 40% of Regency’s interest in the Project for Regency’s then book cost. a. The residual 50% DVY interest will vest in a UK private company representing the Vendor interests. b. The Vendor will receive a 3% NSR royalty (held within the above UK private company). c. RGM have the right of first refusal to purchase within three months of first commercial production 1% of the NSR for cash consideration of £1,000,000. d. Vendor to receive cash/equity ([50:50]) of CAD$250,000 upon the release of a compliant maiden resource. e. Vendor to receive cash/equity ([50:50]) of CAD$1,500,000 upon commercial production. f. Vendor to receive cash/equity ([50:50]) of CAD$500,000 upon a Decision to Proceed following a feasibility study. g. Prices of equity in d to f above to be determined by the volume-weighted average price (“VWAP”) for the 7 trading days immediately preceding the date of the relevant market announcement.